The Joker collector edition on a metal poster. 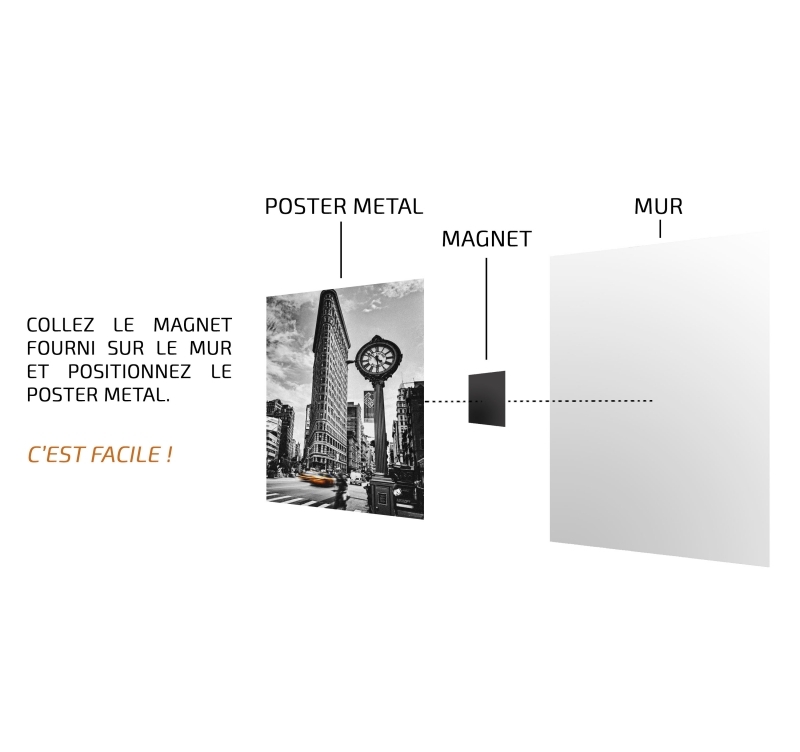 This Joker wall poster is delivered with its magnetic hanging system. The dimensions of this Batman original poster are 48 X 67.5 cm. 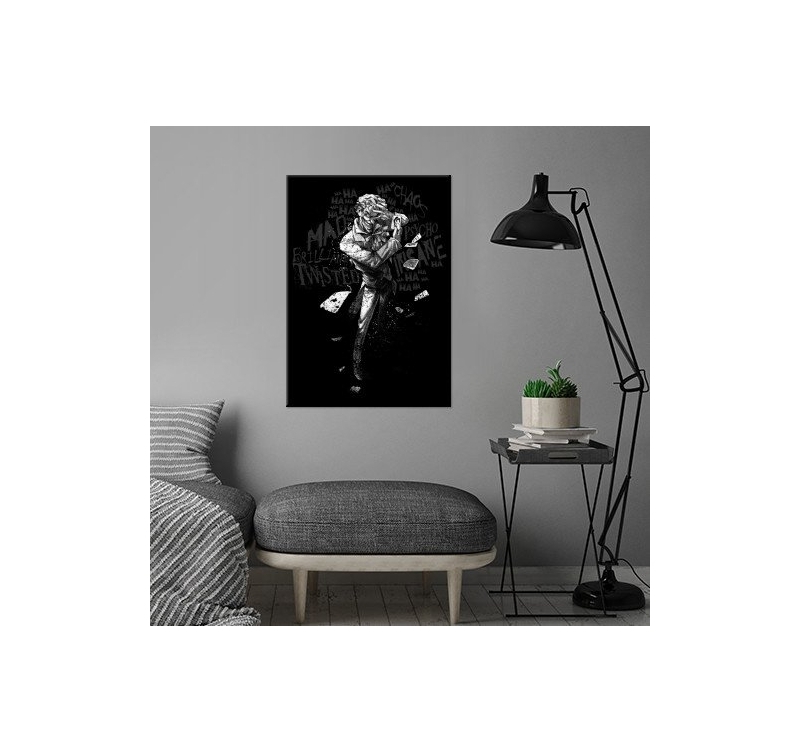 Free delivery in metropolitan France and Belgium for this unique poster. The famous villain of Gotham and Batman, the Joker, can be found on a unique poster for all the fans. 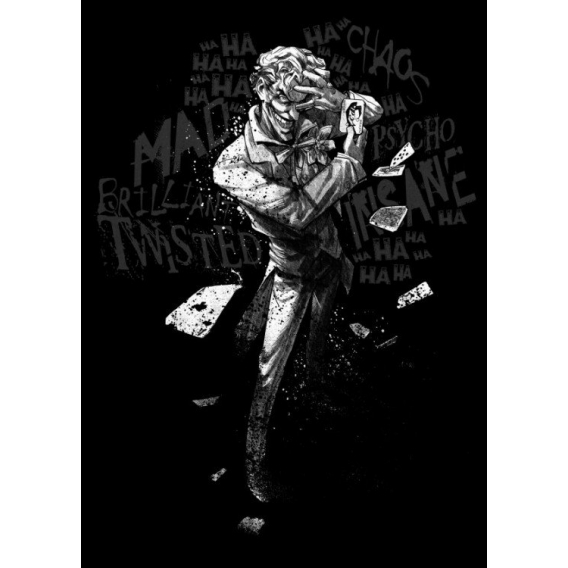 Created by our artist, this devil looking Joker is on a black background to emphasize the dark sides of the character. Famous for his smile and lethal cards this Batman Joker comes on an original metal poster ! 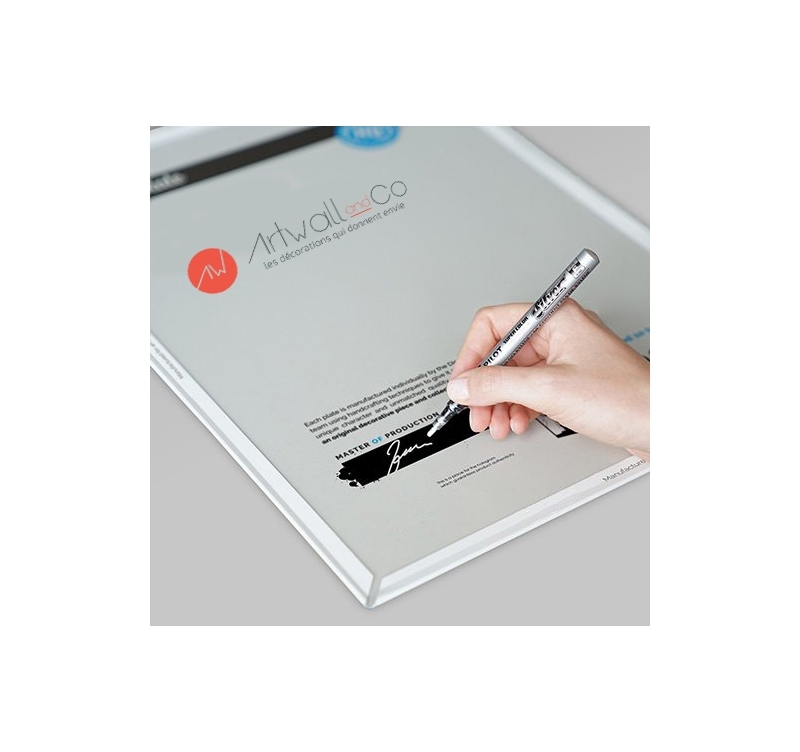 Setting up this poster is very easy with our no-hole no-screw magnetic hanging system. Purchasing this batman poster will allow you to support the artist that created this design. 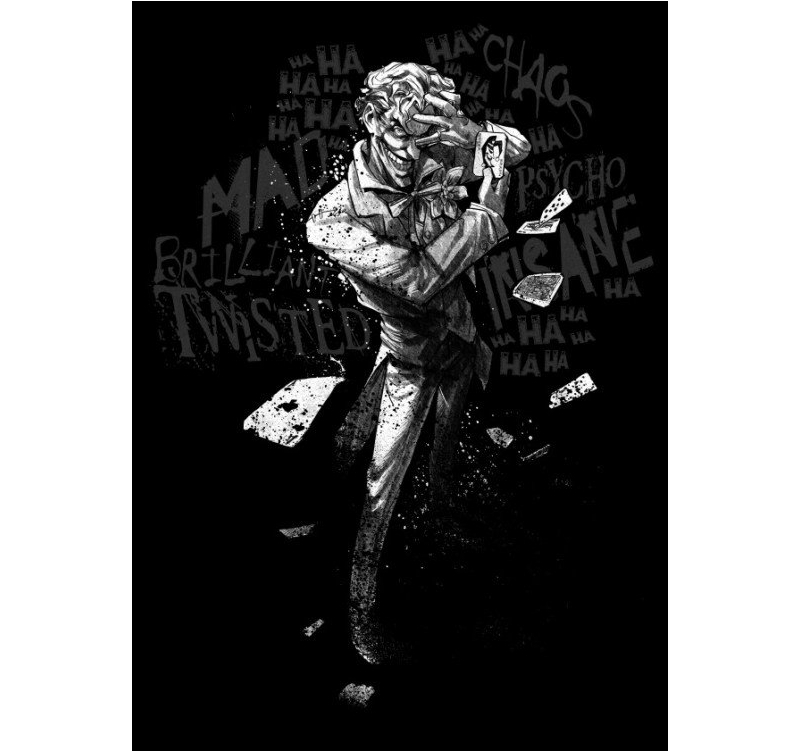 Find the mad side of the Joker with this metal poster and the writing on the background.